Do you like Pina Coladas? 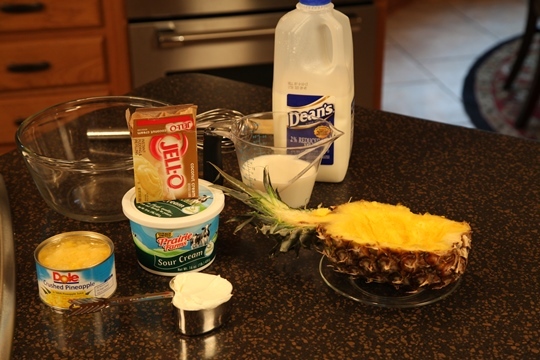 Well, you will LOVE this fast and easy Pina Colada Fruit Dip! It’s summertime and everyone is starting to think about entertaining …and what a better way than with a fruit tray and this Pina Colada Dip. Here you see my fruit tray with a Pineapple Palm Tree and this yummy dip. 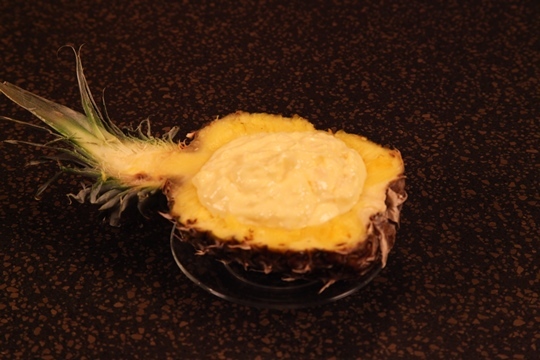 Get a taste of the tropics with this Pina Colada Fruit Dip! whisk together the coconut instant pudding and the milk. Stir in the crushed pineapple with the juice and the sour cream. 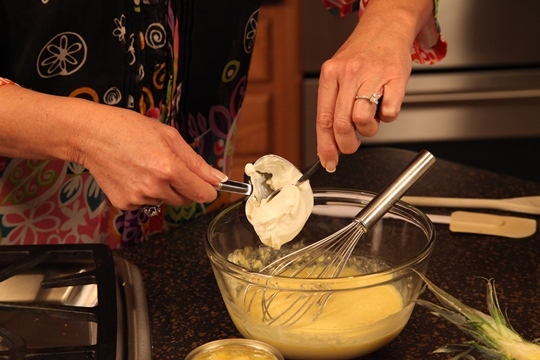 Whisk together the coconut instant pudding and milk. Stiur in the crushed pineapple with the juice and the sour cream. 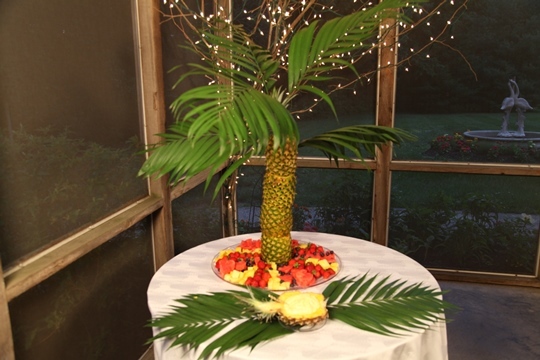 This fruit tray has the pineapple from the cored pineapples I used for the Palm Tree, fresh strawberries, blueberries. and watermelon. You can use a cookie cutter to cut the watermelon into festive shapes. I used a heart shaped cookie cutter for this fruit tray. If you are cutting the watermelon into shapes, just cut any remaining watermelon into cubes and place at the back of the fruit tray. Other great choices for fruit trays are honeydew melons, cantaloupes, white and red seedless grapes, and sliced apples ( that have been dipped in orange juice). Bring some exotic flavor to the table with my Mediterranean Appetizer Platter! 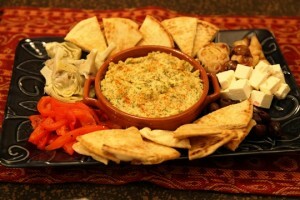 Enjoy a Mediterranean Appetizer Platter either as an appetizer or a meal in itself! I’ve recently featured my Hummus Recipe, Oven Roasted Garlic and Toasted Pita Bread Triangles and they are all a part of this delicious and flavor-fully exotic appetizer tray. 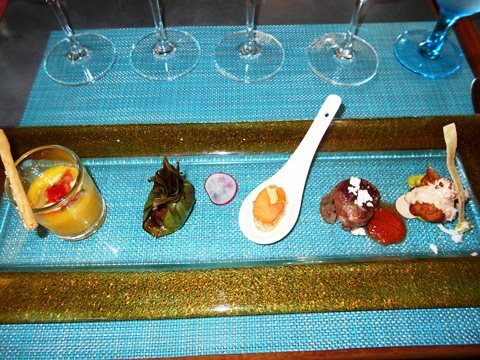 The beauty of this appetizer tray is that you can vary the items with a little bit of this and a little bit of that. If you have time, make my Hummus Recipe a few hours or days ahead of time and just have it ready to go in the refrigerator. However, if you don’t have 15 extra minutes to make the hummus, most grocery stores carry pre-made hummus. 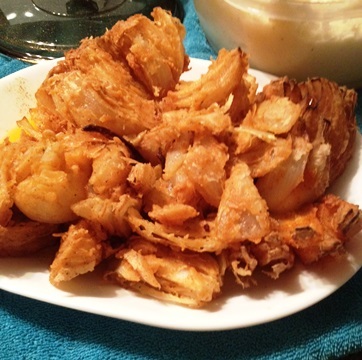 The oven roasted garlic is optional but it really adds a great flavor to the party platter. 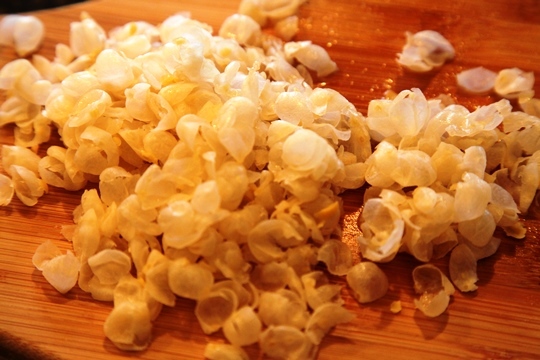 The oven roasted garlic takes 45 minutes in the oven and you can roast it while you are assembling the rest of the ingredients. The rest of the ingredients are purchased at the grocery store. 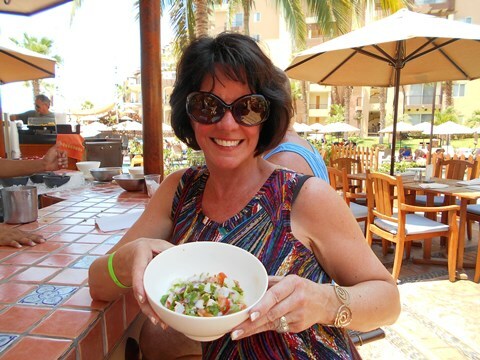 We enjoyed a Mediterranean Appetizer Platter at one of our favorite restaurants about a year ago. Bruce and I had never had hummus before then and once we tasted the wonderful combination of flavors on the platter…I knew I had to recreate it at home. There are a lot of variations of hummus and my recipe is fairly basic. Hummus has been around for thousands of years and is a healthy snack. Roasted red peppers cut into slices. 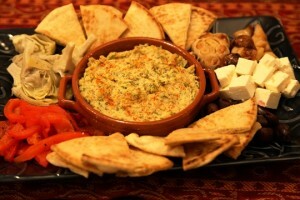 I served the Mediterranean Appetizer Platter with toasted pita bread. Grape leaves ( packed in brine) These are found in the pickle section or International section of the grocery store. Drain them and pat them dry. Wrap one grape leaf around each chunk of feta cheese. This Mediterranean Appetizer Platter can also be assembled ahead of time. 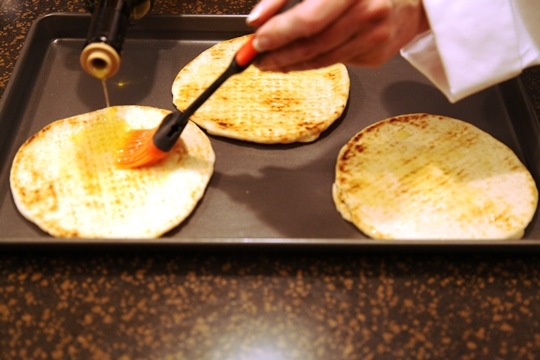 I like the oven roasted garlic and the pita bread to be served warm so I would bake those and add at the last minute. Here is my Make Life Special Hummus Recipe that is so good! This hummus recipe is easy for even the beginner cook to make. Hummus is a dip or spread made from chickpeas ( otherwise known as garbanzo beans). 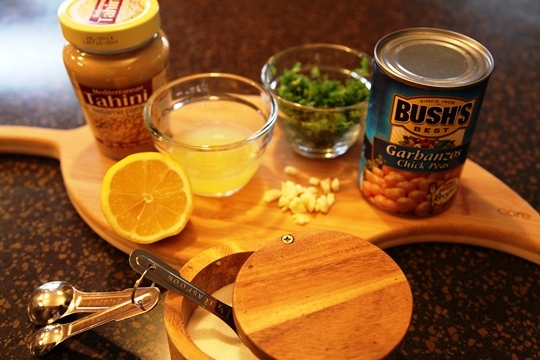 You can buy canned chickpeas in any grocery store. 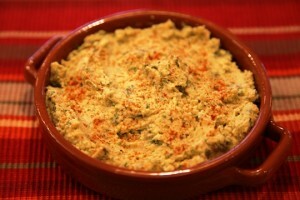 Garbanzo hummus dates back to at least the 13th century with many foodies describing it as “ancient food”. Certainly hummus has been around a LONG time! I have heard Nicole and Luke rave about hummus for several years but my first experience with hummus just happened a year ago. Bruce and I found a great restaurant that we love and one of their specialties is a Mediterranean Platter that features hummus. As soon as I tasted it, I knew I had to recreate it at home. 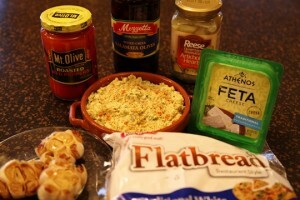 Be sure to check out my post on assembling the Mediterranean Platter! How do you serve hummus? 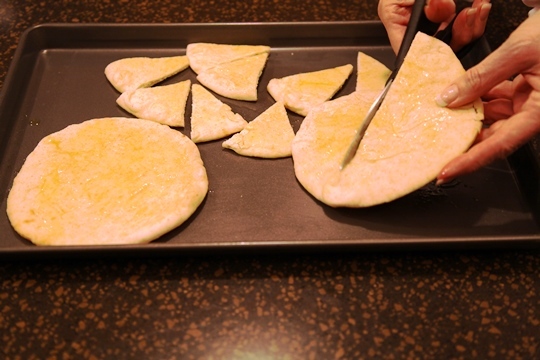 As an appetizer, scoop hummus with a toasted flat bread such as pita. 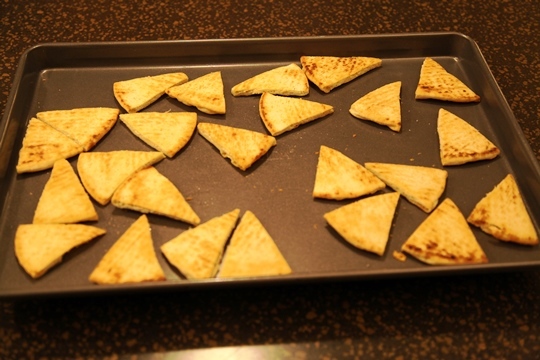 My Toasted Pita Bread Triangles are perfect! Garnish hummus very simply with a sprinkle of paprika as I did. Other garnishes to “jazz it up” would be chopped tomato, chopped cucumber, parsley, a drizzle of olive oil, chopped hard boiled eggs,Kalamata olives or pine nuts. Once you start ordering hummus in restaurants you will discover that hummus tastes different everywhere. 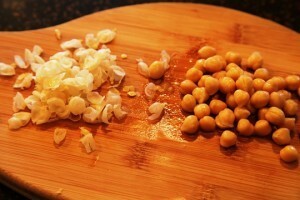 The basic ingredients are Chickpeas or garbanzo beans, lemon, garlic and Tahini. 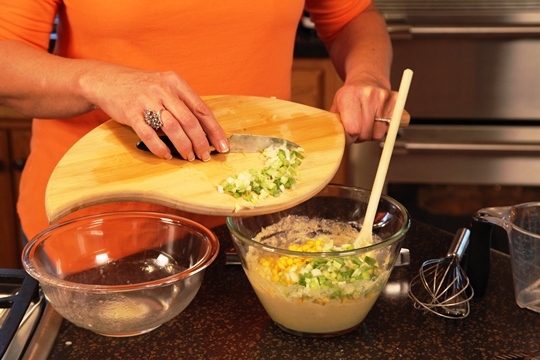 Some types of hummus have a strong lemon flavor….others more spicy or garlicky. 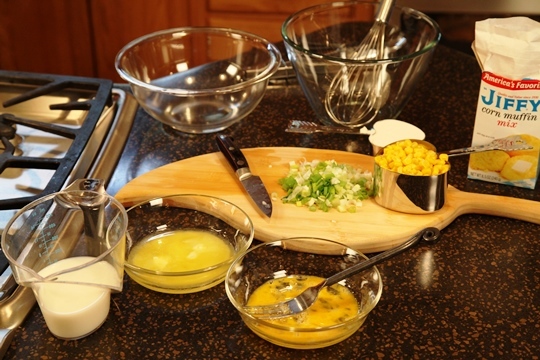 When making your own hummus, you can vary the amounts of the ingredients to suit your own taste buds. My hummus recipe is pretty basic, but I add parsley to the mix. 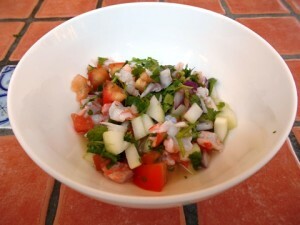 I like the freshness parsley brings to the table and the added burst of color. The second thing I do to make my hummus recipe over the top is a recommendation from my daughter Nicole. 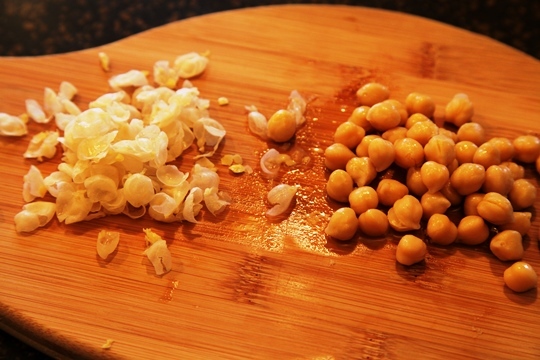 Use your fingertips and PEEL the garbanzo beans. 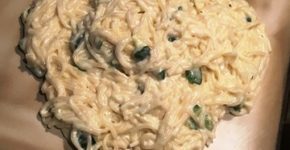 This is the most time sonsuming part of the recipe ( you will need about 10 minutes for this step) but I agree that it makes a smoother textured hummus. Just remember, once you get the basic recipe mastered, you can add a little of this or a little of that to create your own masterpiece! Try adding roasted garlic or sun dried tomatoes. 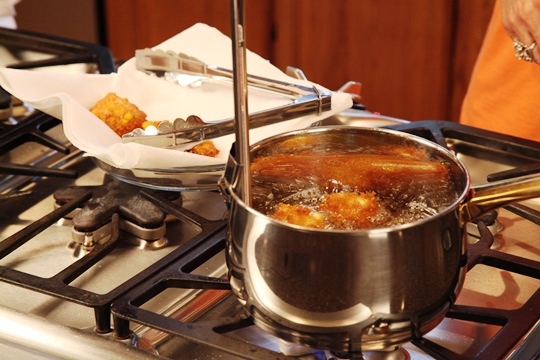 Be adventurous and enjoy your kitchen! Note: You can store hummus in the refrigerator up to a month but it probably won't last that long. 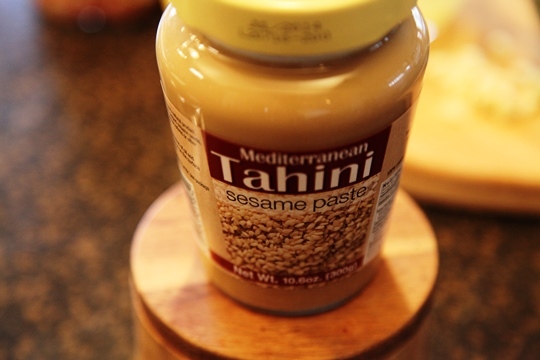 Tahini is basically like peanut butter but it’s made from sesame seeds. It is a sesame seed paste that’s available in most grocery stores or can be ordered online. I refrigerate Tahini after opening to keep it fresh. I was really amazed at the peels in one can of garbanzo beans! It’s no wonder the hummus is smoother when your remove all of these! Homemade hummus is the star when served on a Mediterranean Platter. 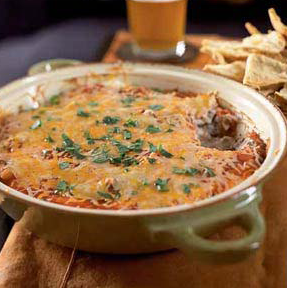 This SUPER Easy Bean Dip Recipe is the second featured recipe from the Dove Chocolate Discoveries Chocolatiers. This recipe showcases the Dove Chocolate Discoveries Cocoa Rub and the Dove Chocolate Discoveries Sweet ‘n’ Tangy Mole Sauce. This is another example of how chocolate can be more than sweet — it can work in savory recipes as well. 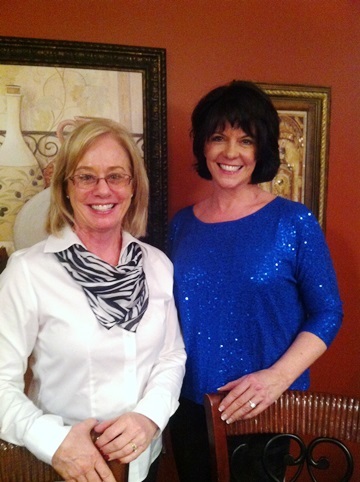 Oma Farmer, DCD Team Leader pictured above with Vickie at a recent cooking demonstration. Quick and Easy Appetizer Recipe Featuring Dove Chocolate Discoveries! 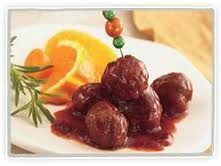 Chocolate Chipotle BBQ Chicken Balls are a delicious appetizer recipe that features Dove Chocolate Chipotle BBQ Sauce and Dove Sweet and Spicy Cocoa Rub. I recently did a cooking demonstration for a group of Dove Chocolatiers and several of the Chocolatiers agreed to contribute their special recipes featuring Dove Chocolate…some are sweet, some are savory. 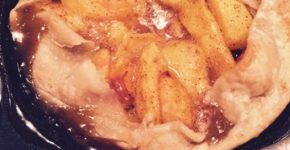 This recipe was contributed to Make Life Special by Pam Reimann with Dove Chocolate Discoveries. The Dove Chocolate Chipotle BBQ Sauce and Dove Sweet and Spicy Cocoa Rub can be ordered from Dove Chocolate Discoveries. 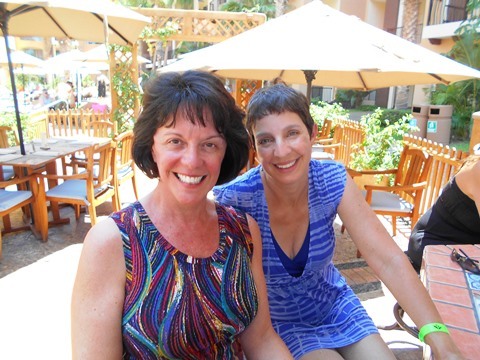 You can find a Dove Chocolate Discoveries Consultant here: Dove Chocolate Discoveries. 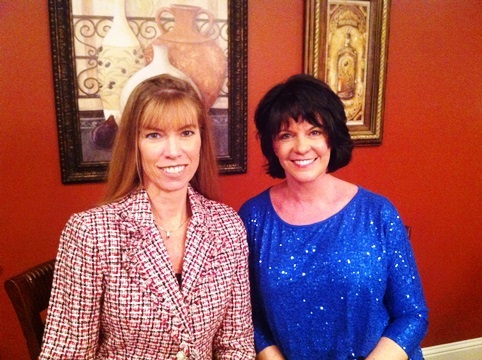 Pam Reimann, DCD Chocolatier pictured with Vickie at recent cooking demonstration. 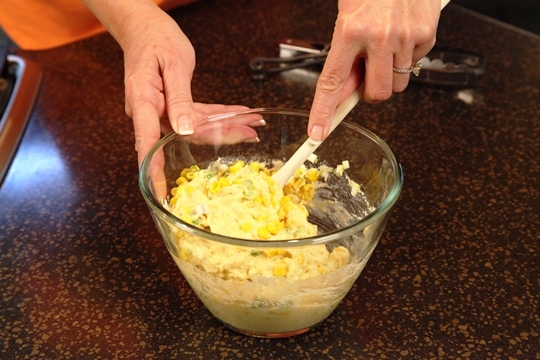 Combine chicken, cheese, egg, cumin, garlic salt, mushrooms, and bread crumbs in mixing bowl. 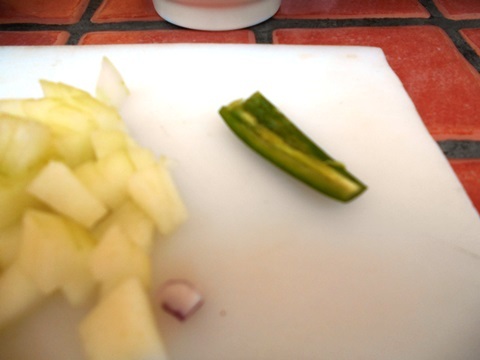 Add ½ cup of the Dove Chipotle BBQ Sauce and mix thoroughly with hands until well blended. Roll mixture into 16 golf ball size balls and place on cookie sheet. Dust each ball with the Cocoa Rub. Heat remaining BBQ sauce and pour over the Chicken Balls. Be sure to check out some other Make Life Special Appetizer Recipes! 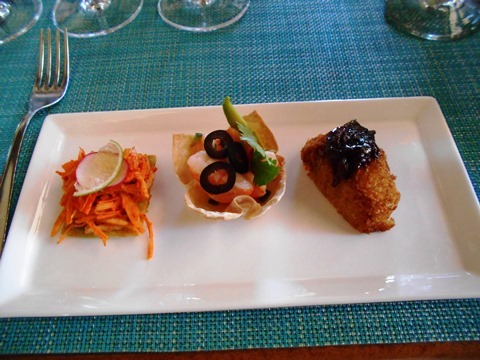 Appetizers are a great way to start any gathering! I like to begin every dinner party in my kitchen with casual drinks and appetizers. 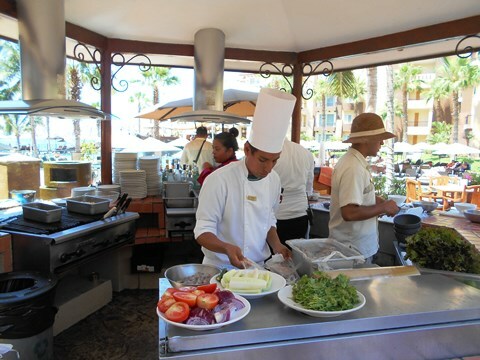 This really seems to put people at ease as they watch me cook and the conversation and laughter becomes so enjoyable. Entertaining is truly a gift from the heart and learning how to entertain successfully will make your parties and gatherings a pleasure for both you and your guests. Little Cheese Bread Bites are hard to resist! I always make a double batch of Little Cheese Bread Bites because 10 of these is just not enough at our house! 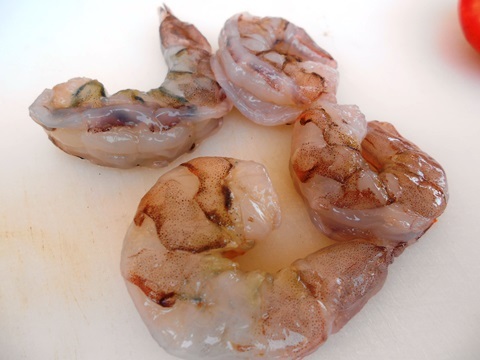 These are great as an appetizer or to serve with soup or a salad. Watch the Make Life Special YouTube video and see just how easy these are to make! 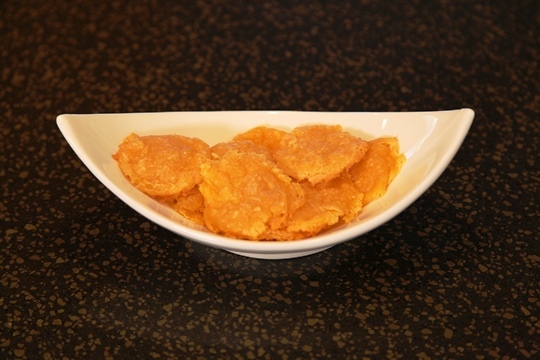 Little Cheese Bread Bites are great to serve as a appetizer or with your meal. 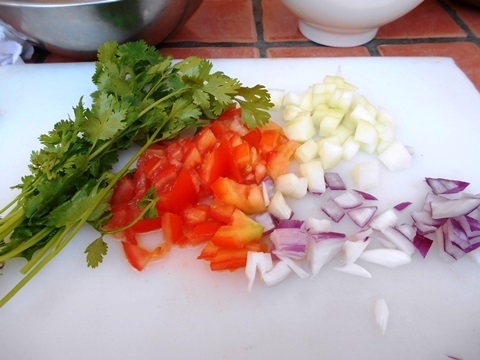 Only 3 main ingredients…what could be easier? Enjoy! Combine the cheese spread and melted butter in a bowl and mix well. 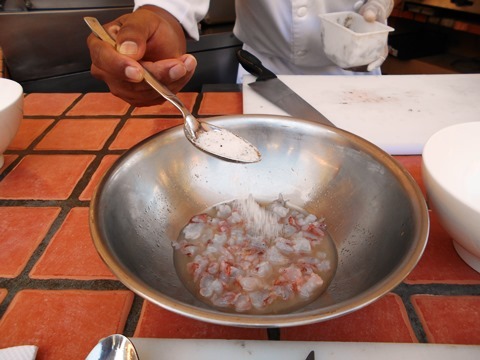 Add flour and a dash of salt. Mix well. 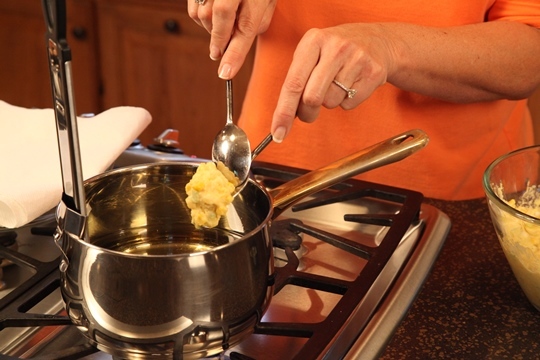 Roll into small balls and refrigerate for one hour or longer. When ready to bake, preheat oven to 400 degrees. Place balls on a greased baking sheet. Bake for 10 minutes. Balls will flatten as they cook. Serve hot. 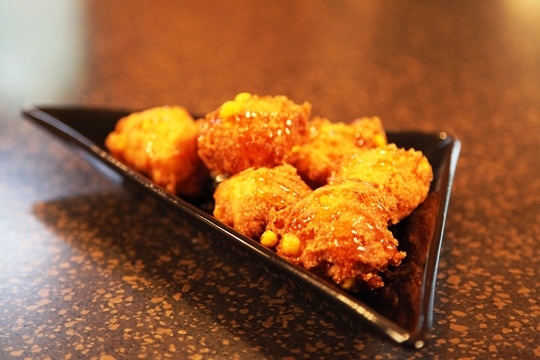 Makes about 10 Little Cheesy Bites. 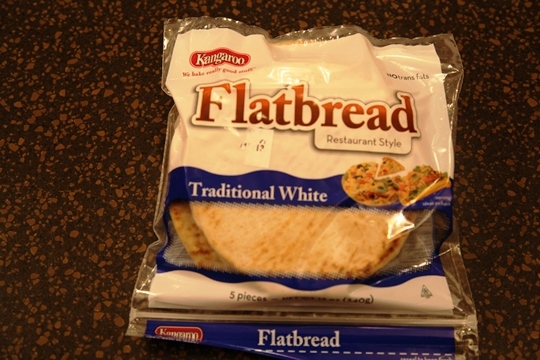 Note: The Kraft Old English Cheese Spread is found in the pasta section or the deli section of your grocery.